A few years ago, Haiden interruptted a few cultists sacrificing a couple of puppies in an attempt to raise a demon to grant them powers. Although not a true hero of his own right, slicing up puppies for some sick belief was too much for Haiden, and he got involved. In the process, one cultist ran away, the other two died and their blood was spilled. The sacrificial blood raised the demon, who, as part of the ceremony, needed a target for the powers. 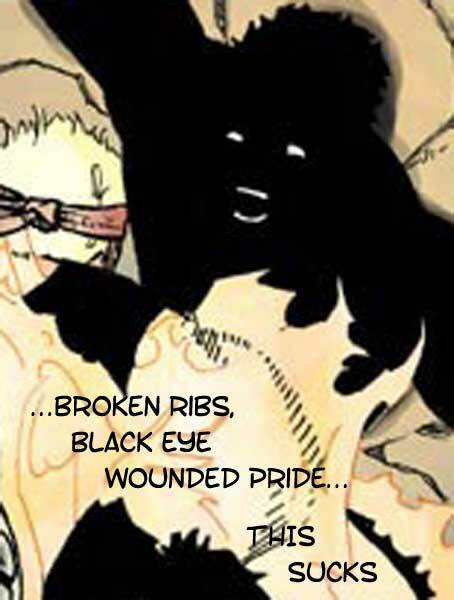 Haiden and the puppies being the only targets around, were granted the demonic powers, something Haiden has come to both depend on and despise. Haiden took the puppies under his wing and raised them. He named them Spite and Malice. 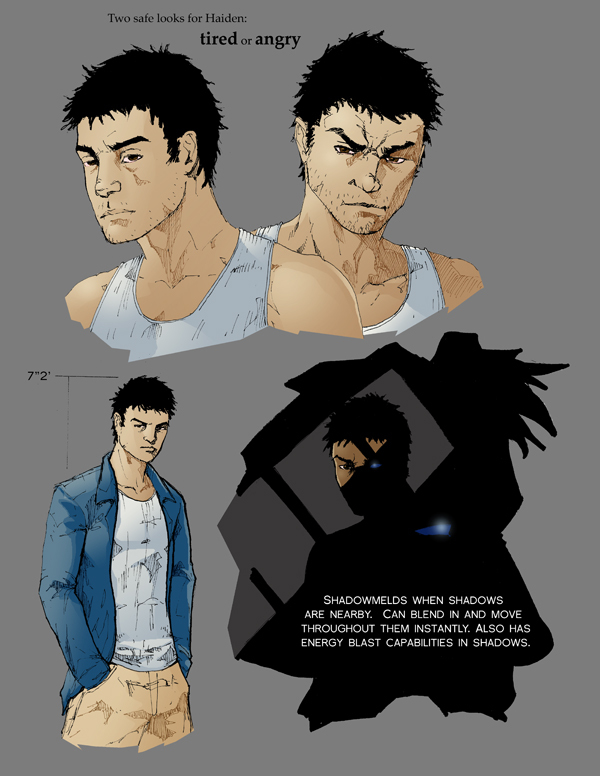 One of Haiden's principle powers is his ability to 'shadowmeld', or engulf his body in shadow. 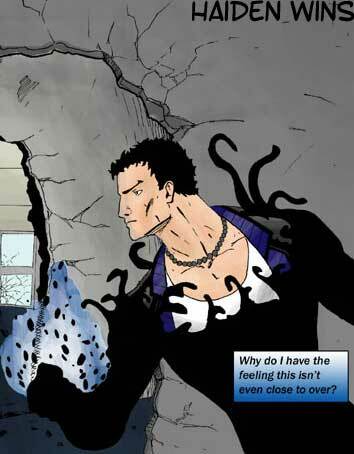 Teleportation and energy blasts are also personal favorites, though he is constantly discovering new abilities. Haiden ended up in Void city mostly because he needed cheap rent, and that is where he found it. He became roommates with Sho and they began battling together against all the oddities and corruption in the city. Recently Sho has been missing, and Haiden has teamed up with a new citizen of the city, Max.